Interface Uganda has used some of the funds raised to buy new equipment for surgeons and therapists, and also to transport used equipment to hospitals in Uganda. 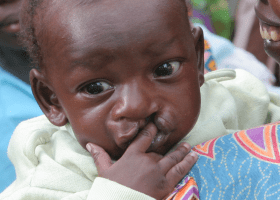 Over the years, Interface Uganda has provided thousands of pounds worth of new equipment to help with surgery, to help the trainee surgeons, and help for the therapy department at CoRSU hospital. Much equipment used in hospitals in the UK cannot be re-used due to Infection Control criteria. 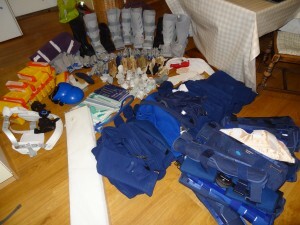 However, much of it is very reusable, so it is saved and collected, then sent out to Uganda. Some is sent out in small quantities every few months. Interface has sent out many containers of used equipment when the Heavitree hospital maternity unit in Exeter relocated and upgraded much of its equipment. Most of the beds and mattresses were saved, along with a lot of large, bulky equipment used in the operating theatres, such as trolleys, lights and Xray machines. 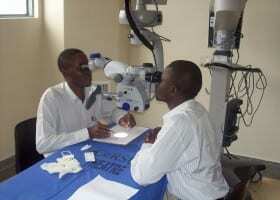 This was very well timed, as CoRSU hospital was being built, and needed the equipment.